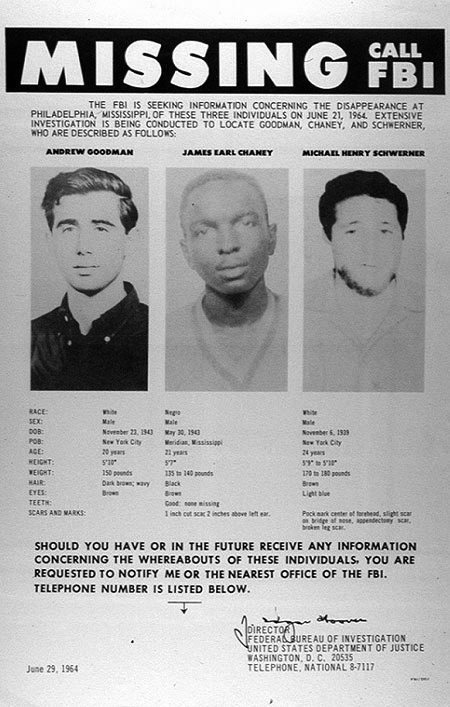 The three murdered civil rights workers from the 1964 Mississippi Freedom Summer Project are pictured on this FBI "missing" poster. On June 21st, Andrew Goodman, James Chaney, and Michael Schwerner were abducted and killed by Klansmen in an effort to intimidate volunteers working to register black voters. Their badly beaten bodies were found weeks later buried near Philadelphia, Mississippi. Although seven men were tried and convicted for minor federal crimes related to the murders, the state refused to investigate or indict the men, and none served more than a few years in jail. In 2005, Edgar Ray Killen was finally indicted and convicted for the murder of the three volunteers. 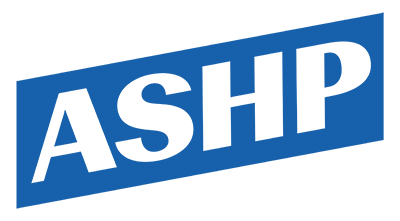 Cite This document | Federal Bureau of Investigation, “"The FBI Wants Information About Three Missing Civil Rights Workers",” HERB: Resources for Teachers, accessed April 20, 2019, https://herb.ashp.cuny.edu/items/show/1173.